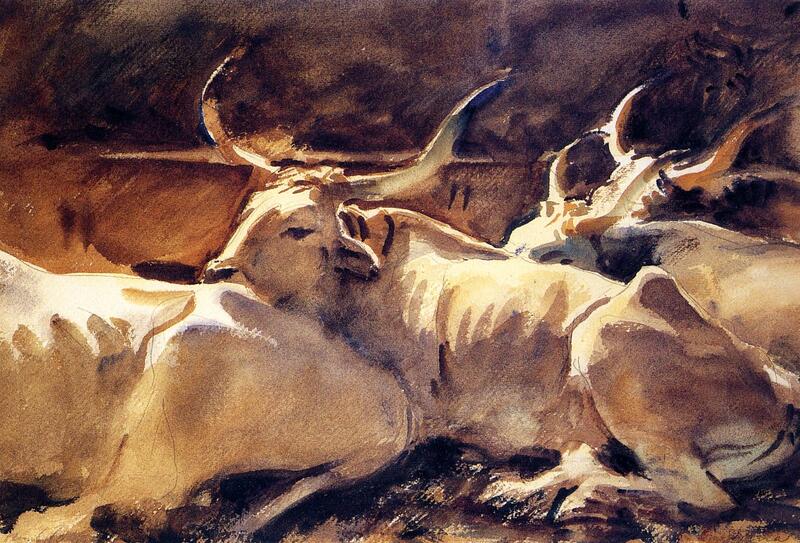 Oxen in repose, 1910, watercolour by John Singer Sargent (via WikiPaintings). To receive alerts of new postings on this ILRI News Blog, including livestock-related artworks like the one above published in a new series of ‘photoblogs’, please subscribe to the ILRI News Blog by clicking on one of the buttons in the righthand column of this page: ‘Subscribe by email’ or ‘Subscribe to newsfeed’. Thank you! 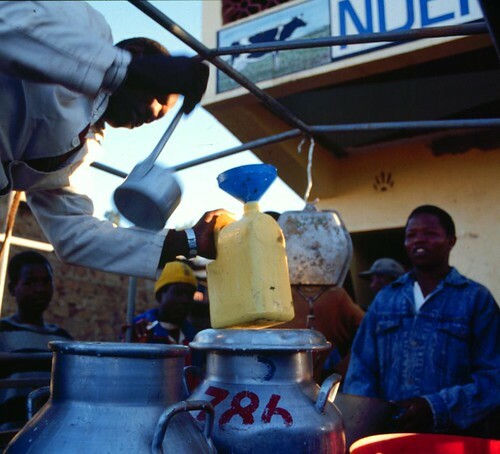 Collecting milk in Kenya’s informal market (photo credit: ILRI/Dave Elsworth). Do estimates of the agricultural gross domestic product (GDP) of African nations really underestimate the value of the contribution from the livestock sector, as livestock specialists at the International Livestock Research Institute (ILRI) and elsewhere frequently complain? In Kenya and Ethiopia, the answer is a resounding ‘Yes’. 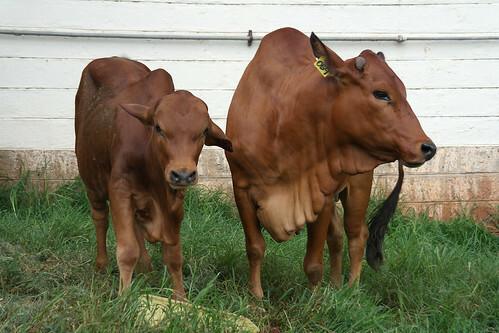 A new study by the Inter-Governmental Authority on Development (IGAD) Livestock Policy Initiative (LPI), which worked with national partners, concludes that livestock’s contribution to Kenya’s agricultural GDP is a whopping two and a half times larger than the official estimate for 2009. An earlier IGAD study concluded that livestock’s contribution to Ethiopia’s agricultural GDP has been even more dramatically under-reported; livestock’s contribution is now being estimated at three and a half times larger than that of the last official estimate available. In Kenya, ‘This increase of 150% over official estimates means that the livestock contribution to agricultural GDP is only slightly less than that from arable agriculture, i.e. 320 billion Kenyan shillings for livestock (about $4.21 billion US dollars in 2009) versus 399 billion Kenyan shillings for crops and horticulture (in 2009 roughly $5.25 billion US dollars). . . .
‘According to the revised estimates, milk is Kenya’s most economically important livestock product, providing a little less than three quarters of the total gross value of livestock’s contribution to the agricultural sector. 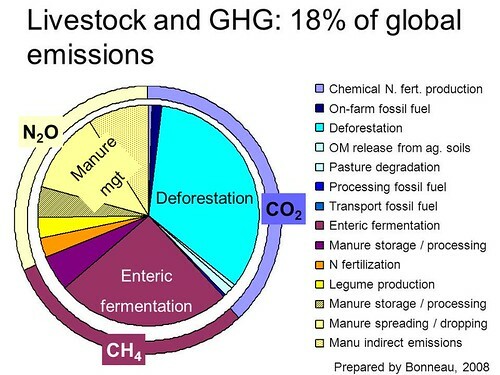 In terms of its contribution to agricultural GDP, milk is about four times more important than meat. 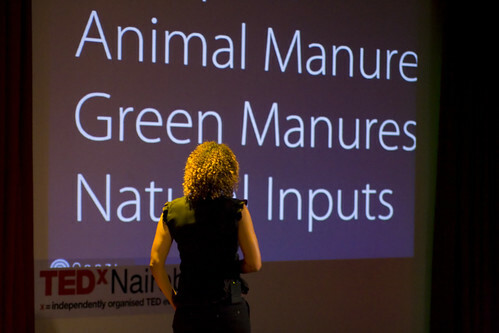 In addition, the broad range of benefits rural food producers derive from livestock keeping—including manure for fertilizing crop field, traction for pulling ploughs, and serving as a means of savings and credit and insurance—represent about 11% of the value of the livestock contribution to GDP in Kenya and more than 50% in Ethiopia. We link here to the whole policy brief from the Inter-Governmental Authority on Development (IGAD) Livestock Policy Initiative (LPI – IGAD LPI website). The brief was based on working paper by the United Nations Food and Agriculture Organization and IGAD: The Contribution of Livestock to the Kenyan Economy, No. 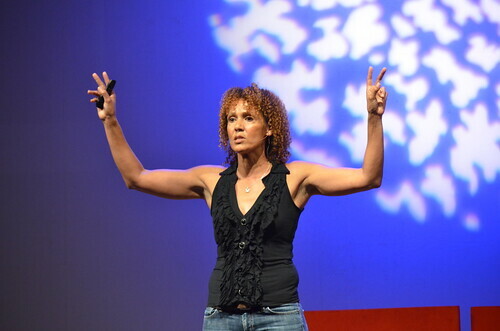 03-2011, by Roy Behnke and David Muthami. Read Part 1 and Part 2 of the earlier IGAD LPI working papers on Ethiopia (also a policy brief). Kenya: drought leaves dead and dying animals in northern Kenya (photo on Flickr by Brendan Cox / Oxfam). Humanitarian organizations are bracing themselves for the the task of addressing the unfolding crisis in the drought-stricken Horn of Africa, where the rains have failed for two consecutive years and the next rainy season is not expected until September, at the earliest. The BBC reports that in Kenya’s Dadaab refugee camp, to which starving Somali’s are fleeing at a rate of some 1000 a day, ‘at a makeshift cattle market in the middle of the refugee camp, herdsmen are trying to sell off what little livestock they have left. ‘But no-one wants to buy the cattle and goats on sale here, for the chances are that very soon they will be dead. ‘There is nowhere for them to graze: the pastures here are parched and arid, and it has barely rained for two years running. ‘Not far away, the landscape is littered with the carcasses of dead animals. 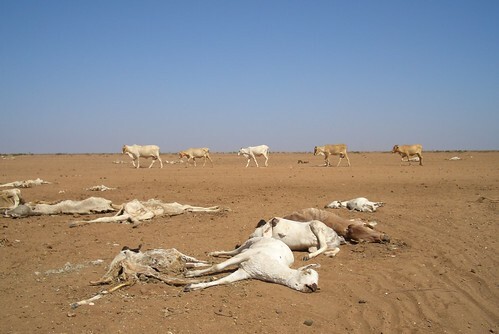 Read the full article at the BBC: Horn of Africa drought: Vision of hell, 8 Jul 2011. All organizations involved in supporting these livestock-keeping peoples of the Horn are passionate about not only saving the most vulnerable members of these pastoral communities today, but also about finding long-term solutions to recurring drought in this region. Those solutions necessarily rely on an evidence base provided by scientists, particularly livestock researchers. Four recent research reports published by the International Livestock Research Institute (ILRI), based in Nairobi, Kenya, noted and linked to below, assess the effectiveness of past drought interventions in Kenya’s northern drylands and offer tools for better management of the region’s drought cycles. (1) Leeuw, Jan de; Ericksen, P.; Gitau, J.; Zwaagstra, L.; MacMillan, S. Jul 2011. ILRI research charts ways to better livestock-related drought interventions in Kenya’s drylands. ILRI Policy Brief. (2) Johnson, N. and Wambile, A. (eds). 2011. The impacts of the Arid Lands Resource Management Project (ALRMPII) on livelihoods and vulnerability in the arid and semi-arid lands of Kenya. 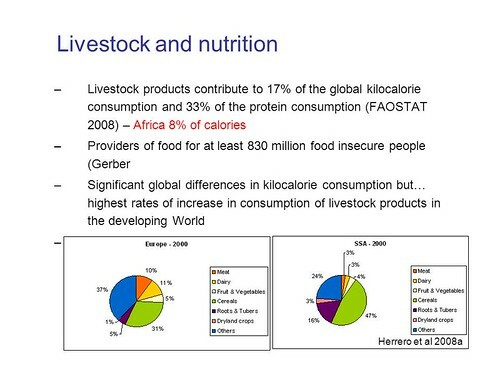 ILRI Research Report 25. Nairobi, Kenya: ILRI. (3) Ericksen, P., Leeuw, J. de and Quiros, C. 2010. Livestock drought management tool. Final report for project submitted by ILRI to the FAO Sub-Regional Emergency and Rehabilitation Officer for East and Central Africa 10 December 2010. Nairobi, Kenya: ILRI. From the abstract: In August 2010, the Food and Agriculture Organization (FAO) sub-Regional Emergency Office for Eastern and Central Africa (REOA) contracted the International Livestock Research Institute (ILRI) to develop a proto-type “Livestock Drought Management” (LDM) decision support tool for use by a range of emergency and relief planners and practitioners throughout the region. The tool, which is still conceptual rather than operational, links the concepts of Drought Cycle Management (DCM) with the best practice in livestock-related interventions throughout all phases of a drought, from normal through the alert and emergency stages to recovery. The tool uses data to indicate the severity of the drought (hazard) and the ability of livestock to survive the drought (sensitivity). . . . The hazard data has currently been parameterized for Kenya, but can be used in any of the REOA countries. At the moment, the missing item is good-quality data for sensitivity. Additionally, experts did not agree on how to define the phase of the drought cycle. The tool requires pilot testing in a few local areas before it can be rolled out everywhere. (4) Zwaagstra, L., Sharif, Z., Wambile, A., de Leeuw, J., Said, M.Y., Johnson, N., Njuki, J., Ericksen, P. and Herrero, M., 2010. An assessment of the response to the 2008 2009 drought in Kenya. A report to the European Union Delegation to the Republic of Kenya. Nairobi, Kenya: ILRI. In early 2010, ILRI scientists reviewed responses to Kenya’s 2008–2009 drought in six arid and semi-arid districts of the country. The authors reviewed 474 livestock-based interventions and came up with the following conclusions, recommendations and lessons regarding the drought management intervention cycle, among others. Conclusion: . 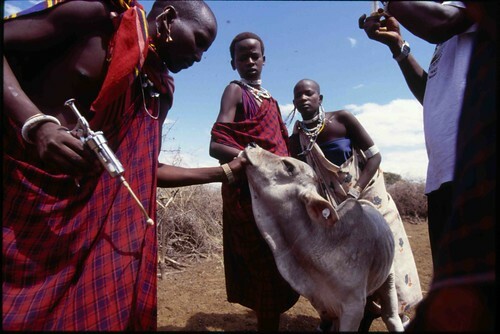 . . To allow sufficient time to scale up livestock based interventions . . . have early warning based on indicators that precede the deterioration of livestock condition, such as rainfall estimates or the greenness of rangeland detected from satellite imagery. . . . Recommendation: Include a separate early warning message in the EWB specifically geared towards triggering interventions aiming at livestock. . . . [Harmonize] procedures used among districts for such a livestock early warning system. Conclusion: The timing of several of the interventions, notably destocking, was too late while vaccination was implemented during an inappropriate phase of the drought management cycle. . . . Recommendation: Strengthen capacity to plan the implementation of each intervention type in view of the phase of the drought management cycle. Conclusion: Water tankering and support to boreholes were considered effective [but] repair to water infrastructure can be done in periods of reduced stress. . . . Recommendation: Maintain boreholes and other water infrastructure during periods of reduced stress in order to increase drought preparedness. Conclusion: An estimated 16,996 TLU [tropical livestock units] were purchased or slaughtered in response to the drought in the 6 study districts. This is higher than the 9,857 TLU were purchased in 2000/1 in 10 districts (Aklilu and Wekesa 2001), but far below what would have been needed. Slaughter destocking interventions . . . were considered more effective than commercial destocking . . . . Recommendation: Make use of existing commercial livestock marketing infrastructure and on site slaughtering to destock during drought. To achieve optimal impact, initiate these interventions early on in the drought management cycle. See chapter 7 and annex 5 commercial destocking workshop section for further recommendations. Conclusion: The provision of feed was far too little and poorly coordinated, overall it was considered among the least effective interventions. . . . 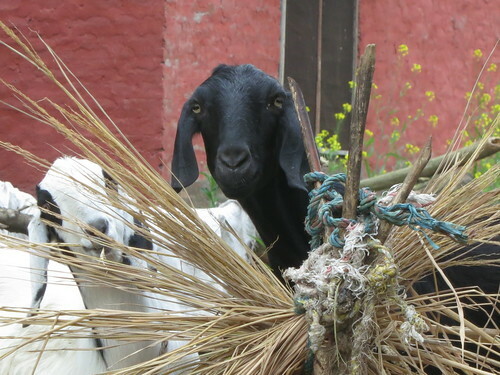 It is worthwhile to consider developing hay production and fodder markets locally. 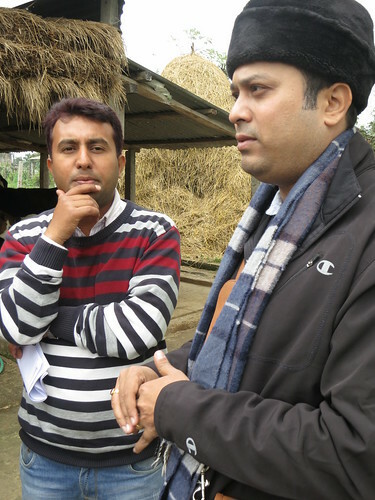 Recommendation: Promote initiatives to develop local hay production, fodder markets and strategic fodder reserves. Conclusion: Peace building interventions were generally considered effective; 30% more animals migrated in 2008/9 than in 2000/1. Disease problems reduced effectiveness, which suggests that interventions around these issues should be part of future migrations. 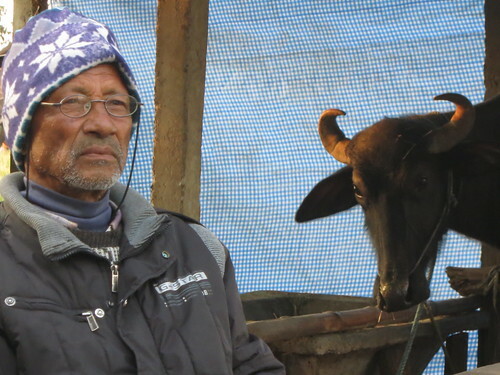 Recommendation: Access to disputed land as part of pastoral mobility remains paramount in their coping strategy and more effective means to support this are required. This includes GoK commitment to play their role but specific interventions can be designed in the short and medium term to alleviate this problem as well. Conclusion: . . . Interventions that build on and support local livelihoods and link to longer term development are better than purely emergency ones. Recommendation: Build on and strengthen rather than undermine local institution, livelihood strategies and coping strategies. Conclusion: Despite recommendations from past assessments, few interventions involved the community in design or implementation. Those that did tended to have better outcomes than those that did not. Recommendation: Involve communities before the drought in the design of drought contingency plans. Conclusion: As yet there are no agreed upon triggers for the release of contingency funds. Furthermore access to these funds is often delayed due treasury related constraints. Recommendation: The drought contingency plans should be regularly updated and contain agreed upon quantitative triggers for the release of funds to implement interventions. Creation of a sufficiently endowed national drought contingency fund deserves the highest priority. Conclusion: There is a danger of duplicating efforts already implemented under the drought management strategy and it is advisable to implement climate change adaptation through these existing institutional arrangements. Recommendation: Implement climate change adaptation policy through existing institutional mechanisms aiming at better drought cycle management. The continued implementation of a basket of suitable preparedness activities remains the most cost effective approach to reduce the impact of shocks.
. . . Emergencies of this nature . . . are increasingly caused by a basket of factors whereby reduced access to previously accessible high-potential grazing is the single biggest contributor to stress. This is heavily exacerbated by a relentlessly increasing demographic pressure, thus creating a cadre of the population who have limited access to any livestock at all and who are consequently extremely vulnerable to shocks. The most effective interventions remain those where facilitation to access grazing and watering resources, which had hitherto not been accessible, was made accessible. Increased semi-permanent presence of key non-governmental organizations in critical areas which are able to encompass a realistic drought management cycle approach has substantially improved information and speed of response. This, in combination with a vastly improved collaboration between agencies, together with improved coordination has at face value provided improved response in both quality and timeliness. The net impact of this is however largely negated due to other factors such as reduced line ministry capacity and related administrative/institutional developments such as the relentless creation of new districts and conflicts. . . . So-called commercial de-stocking remains the least cost-effective intervention. Distance, timing and economies of scale play an important role but more than anything else the lack of a dynamic and lively existing marketing system in many places virtually precludes the creation of a commercial de-stocking operation that will have the required impact at an acceptable cost. 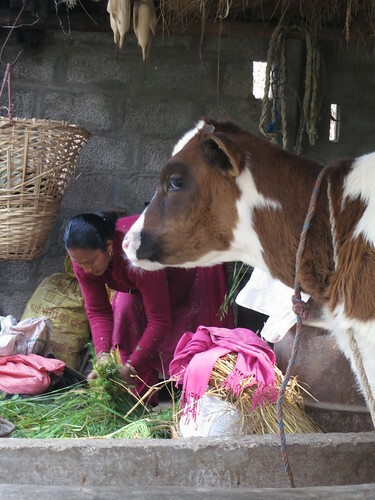 ‘Livestock-fodder-aid’ comes a close second whereby substantial quantities of bulky commodities such as hay are shipped to some of the furthest locations at huge costs with very little if any measurable impact. Slaughter-off take, preferably carried out on the spot with meat being distributed rapidly to presumed needy families is popular with beneficiaries and . . . can have considerable benefit on nutrition while maintaining a limited purchasing power of those affected.